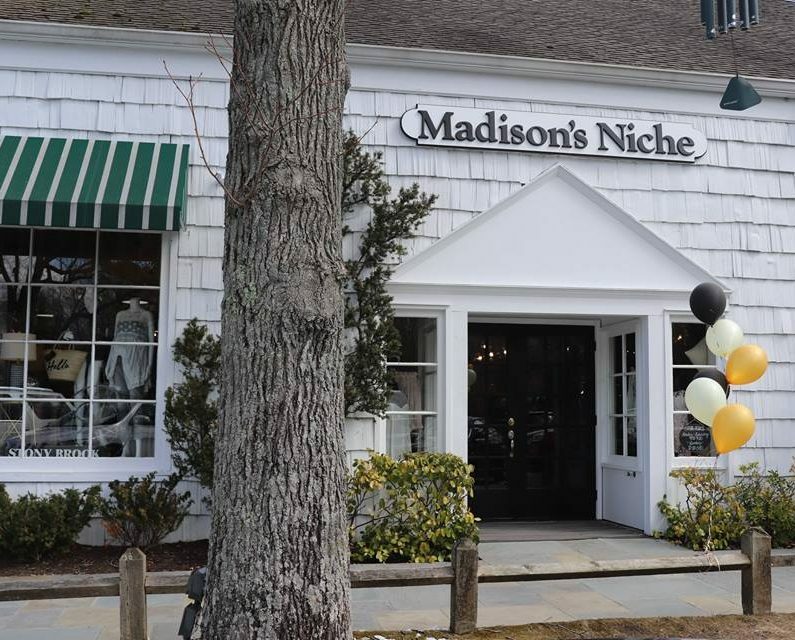 This month, Linx began working with a new client, Madison’s Niche, a lifestyle boutique with four locations in the heart of Long Island’s most popular towns. The client turned to Linx for help in bringing the growing success of their store locations to the web. With no current website, the opportunity to open a new channel for sales – “a fifth storefront” – is a sure strategy to take the brand’s success to the next level. Linx’s key team members began the process by visiting the newest Madison’s Niche location in Stony Brook Village. It was important for us to get a feel for the ambiance of the store and the brand. Immediately upon entering, it was clear to us that the vibe was high-end, fashion-forward, unique and elegant. This was the feeling we needed to capture for the e-commerce website. After our location visit, our design team worked to develop a mood board, which outlined the color palettes, imagery presentations, competitive analysis, typography, and overall look and feel for the brand that will serve as the foundation for all design elements, including the website, moving forward. Reviewing this with the client, we discovered that we were on track with what Madison’s Niche had envisioned their physical space might look like on the web. Next, our customer experience experts got to work on mapping out the user experience and interface (UX/UI) functionality for an optimal shopping experience for users. This requires a deep-dive into the stores’ products and how they are presented and categorized, as well as various online shopping behaviors, to ensure navigating the site and finding products is simple and easy for users. Linx is just getting into the planning phase of the website project, working closely with the client to develop the design and infrastructure foundation for the new e-commerce website. We expect the website to launch for Fall 2018 and are excited for Madison’s Niche to grow their customer base and bring their unique shopping experience to the web and shoppers nationwide. Check back for more updates on the online store launch and, in the meantime, visit the temporary splash page we created for the brand here.